A dedicated team of professionals at TS Freight ensures that when our clients come to us they receive the best service the industry has to offer. 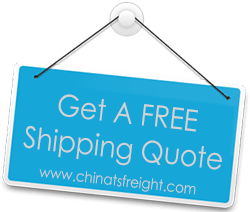 We run a streamlined Air Freight and Ocean Freight shipping service for the benefit of our esteemed clients that works at smoothening the entire process of import from China to Poland. We work in tandem with the best transport carriers that ferry between China and Poland to ensure that your cargo reaches its destination in the shortest period of time at extremely competitive rates. Cargo shipping from China to Poland is our forte and we can move your goods from any of the major cities in China such as Shenzhen, Shanghai, Hong Kong, Guangzhou, Tianjin, Xiamen, Ningbo, Hangzhou and more and deliver it safely to most places in Poland. Some of the cities of Poland where we deliver by Air and Sea include Warsaw, Cracow, Wrocław, Poznań, The Tricity of Gdańsk,Sopot and Gdynia and more. Our worldwide network and over 10 years of experience in the field makes us China’s finest International Transport Service. We take pride in the fact that we run an extremely efficient logistics service and remain dedicated in offering a thoroughly professional approach. When you come to us for transferring cargo between China and Poland you can be confident that you have reached the experts in the industry. You can count on us to coordinate and manage all essential details that will simplify the cargo import process. We cater to all your needs and here is a quick look at the services you receive when you come to us – We arrange for packaging and pickup of goods. We create the inventory; provide assistance with documentation and custom clearance. We also help with the loading and unloading of your cargo and provide door step delivery. We offer you services that ensure you have a hassle free experience when importing from China.